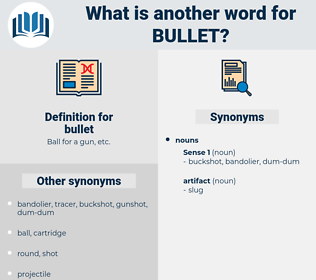 What is another word for bullet? Ball for a gun, etc. 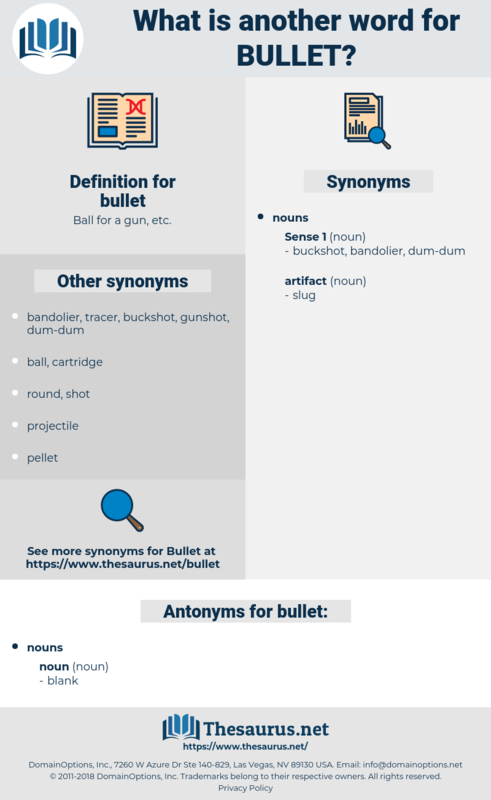 kroner, builet, slug, ammunition, baseball, bale, lozenge, firearm, Firearms, gunfire, softball, panacea, microchip, cannonball, indent, subparagraph, chip. gunshot, shot, pellet, shooting, gun, cartridge, ball, wand. He put another bullet into her shoulder and she lay still. Neeland put a bullet into his pistol arm, and it fell. dumdum, full metal jacket, dumdum bullet, rifle ball, rubber bullet.